Corporations, especially big American corporations, file lawsuits all the time for many reasons. Often they sue to force others to comply with agreements or to punish non-compliance with the law. But sometimes they sue, well, just because they can. I suspect that is what’s happening in Hewlett Packard’s current fight over Autonomy, the UK software company HP bought two years ago for $11.1 billion. The HP board seems determined to demonize Autonomy founder Mike Lynch for being smarter than they are. 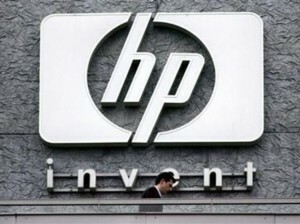 Given the smarts that HP board has shown in recent years, we may all be at risk of being sued by the company. There is no joy in Round Rock. Early this morning the database servers at Dell Computer went down hard. The company is unable to accept orders on its web site and almost 5000 Dell sales reps trying to meet their quotas in the last week of the quarter are unable to book sales. Today’s loss for the company is already over $50 million and rising. The database system in question is Oracle running atop NonStop Unix on a Tandem NonStop (now stopped — what an irony) system made, of course, by Hewlett Packard. So Michael Dell is pulling his hair out at this moment while he waits to be saved by HP. All of us were reminded over and over and over during the last few days that Apple has more cash on hand than does the U.S. government. This coincidence means precisely nothing to either outfit. We won’t see President Obama asking Steve Jobs for a loan, nor will we see Steve Jobs offering one. Yes, the government is broke and yes, Apple has a lot of cash. But GE has almost $50 billion more than Apple, so where are all the GE stories?